as she covers all the new features available in Creative Cloud video and audio tools, including Content-Aware Fill in After Effects, Freeform panel in Premiere Pro, and Punch and Roll Recording in Audition. If you couldn’t attend NAB, this is a great opportunity to get up to speed on what’s included in the latest release. Click for a map here. ***Street parking is available as well as a Crossroads parking lot behind the Sports Complex. We here at the Los Angeles Post Production Group are deeply saddened by the news of the passing of our dear colleague, Norman Hollyn. We know Norman has touched many, many of our members through his presentations, his filmwork, his books and his friendship. Even as Norman was the inaugural holder of the Michael Kahn Endowed Chair in Editing at USC, he was completely approachable and enjoyed discussions with people of all walks of life about filmmaking and the industry. Norman will be sorely missed in our community and the filmmaking community at large. His generosity and his support of the Los Angeles Post Production Group over the years has been inspiring and has touched us deeply. Between his live presentation in 2011 of the web series 2 REEL Guys with Larry Jordan Norman to his most recent presentation in 2017 on AI (highlight video), Norman's knowledge and passion always created memorable evenings at the LAPPG. One of the highlights for us was to have Norman on board as a champion and a judge for our film festival, LA Post Fest (judges video). We will always remember and appreciate Norman's consistant support and generous heart. Norman discussing AI in the Editing Bay. ProductionHUB, the global network of local freelancers, crew and vendors, announced its selections of the 2019 Awards of Excellence from the NAB (National Association of Broadcasters) Show. Wow! What a bonus! Vimeo has just announced that they are offering 1,000 high-quality clips — Vimeo Essentials — at no cost to Vimeo Plus or higher members. That’s a total of over $60,000 worth of Vimeo Stock clips that you can start working with right away. They built Vimeo Essentials with the types of clips that will help bring your video projects to life. Weird glitchy transitions? Check. CGI sci-fi landscapes? Yes. Anonymous crowds of commuters slogging through the streets? Yup. Moody establishing shots of New York City? Sure. Blissful aerials gliding above lush green forests or sprawling across Los Angeles? But of course. All you have to do is head to Vimeo Stock and start adding the clips you want. For Angelenos, Cinema Lens Demo Center is located in Sherman Oaks, perfectly central for filmmakers who live on the east side, west side, downtown, or in the Valley. 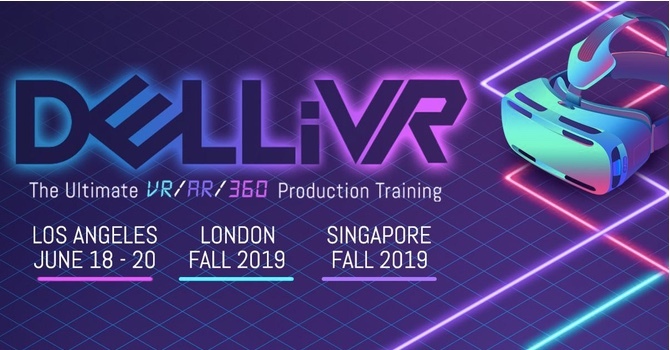 DON'T MISS THE ULTIMATE VR/AR/360 PRODUCTION TRAINING EVENT IN LOS ANGELES THIS SUMMER! All LAPPG members can save $50 off on any of the 1, 2, or 3-day training passes by using exclusive member code: VRLA. Students and faculty are also entitled to a 35% discount on any of the passes. 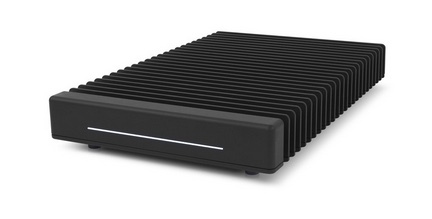 OWC®, a leading zero emissions Mac and PC technology company, is thrilled to announce that their extreme performance ThunderBlade™ has received Future's Best of Show Award, presented at the 2019 NAB Show by Video Edge. Future's Best of Show Awards are evaluated by a panel of industry experts and are selected based on innovation, feature set, cost efficiency and performance in serving the industry. Click here to learn more about OWC ThunderBlade. 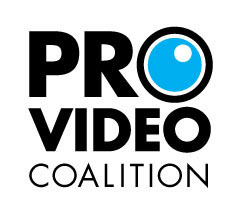 Below is a collection of links to some of the big announcements and news from NAB from our friends on the floor at NAB from ProVideo Coalition this past week. Make sure to note that in addition to learning all about what Adobe has just announced for the video and audio apps at this month's LAPPG (April 23rd), next month we will have Blackmagic Design in the house on May 8th sharing Resolve 16 and more! Save the date! Can you really shoot a film on a production budget of $1K? Find out when Alexandra Boylan and Richard Galli talk about their success and challenges of shooting and distributing a movie their team made called "At Your Own Risk"! They discuss the unique shoot in the New Mexico desert and also their creative ideas for marketing and distribution. Get inspired! Click the button below to SUBSCRIBE and be notified as new videos hit our YouTube Channel! Cine Gear Expo 2019 is the premier annual event for professionals engaged in the film and entertainment technology industry. The show lasts four days in Los Angeles this May 30 – June 2 at Paramount Studios in Hollywood, California. Cine Gear features 300 exhibits, new product and service introductions, 30+ complimentary seminars led by industry leaders, master classes, film competition, awards ceremony, special screenings in state of the art theaters, and ample opportunity to network with peers within a studio environment. Registration is free until May 25th 2019 11:59pm PDT. Explore and compare the latest tools and services in entertainment technology. Get educated and inspired while gaining insight from old friends, new friends. We look forward to seeing you on Tuesday, April 23rd! Please visit www.lappg.com for discounts, job listings, industry news and more.